Here is our favorite source!! Here are a few things parents say they WISH they knew when establishing healthy sleep habits. To establish a nap schedule BEFORE they turned one. 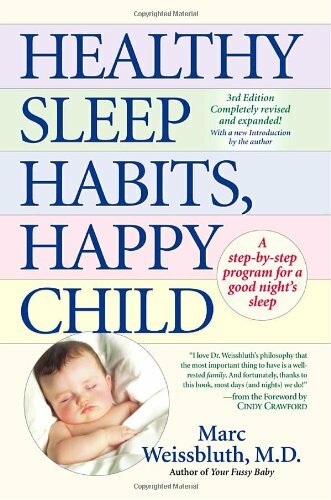 The older baby (toddler) is…the harder it is to establish healthy sleep habits. The older child gets, the harder it is to break habits. ROUTINE. ROUTINE. ROUTINE. Bath, bottle, book, bed. Put baby to bed drowsy….never asleep. This is end up being difficult to break as baby gets older. Have partner and any care givers on the same board when establishing healthy habits. HOPEFULLY your baby has healthy sleep habits established a toddler. As a toddler, 12-18 months, he needs 14 hours of sleep a day. 11 of those hours should come from night, the rest during naps. As a 12 month old, toddler will more than likely, still need 2 naps a day. Naps should equal about 3-4 hours total time. You can read more about transitioning from two to one nap daily, here. Toddlers tend to ‘test’ their parents and resist bedtime. It is imperative to keep your bedtime routine! Kids love consistency and routine. Let kids get all of the energy out before bed. Have them run around before settling down. Make sure your child falls asleep on their own each night. You may want to avoid rocking, nursing, or rubbing your child’s back to sleep. Put them to bed drowsy and allow them to fall asleep on their own. This way, if they wake in the middle of the night, they can put themselves back to sleep. If your child is resisting sleep, you may want to try to leave the room and see if they will calm down in a few minutes on their own. If not, you may want to try the cry it out method. You also need to decide what you want to do if your toddler wakes in the middle of the night. Do you want to come in and comfort them? Start bedtime routine all over again? or do the Cry It Out Method?? Of course, some parents choose to co-sleep with their child. You have to do what works best for your family; which will look different for each family.